This ugly-looking fruit is really yummy. Never mind the thorny skin. Inside is a juicy sweet flesh. 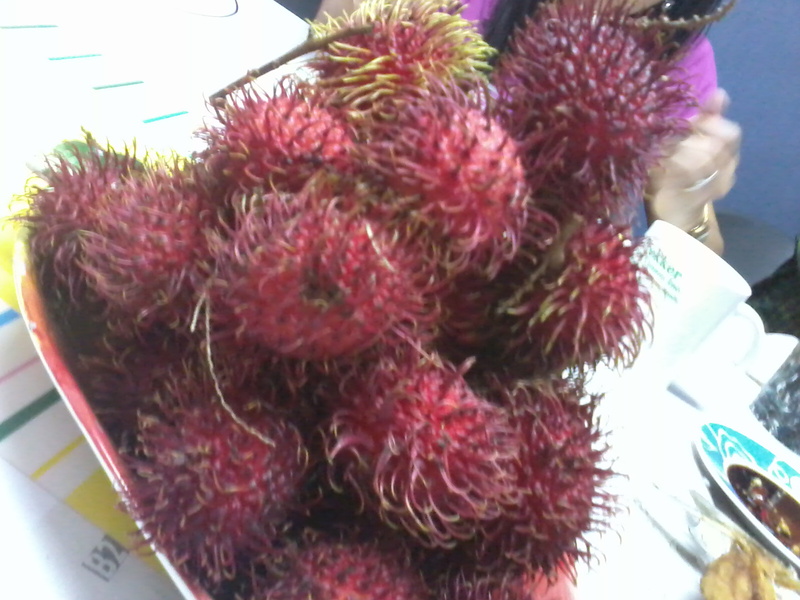 I think we have a rambutan tree in our family farm in Quezon. Must be nice to see the tree ladden with these thorny but delicious fruits.